A cancer-fighting drug called avelumab has shown promise as a possible new mesothelioma treatment. Avelumab performed well in an important new research clinical trial on mesothelioma patients. The results of the clinical trial were considered significant enough to be presented at this year’s American Society of Clinical Oncology (ASCO) Annual Meeting in Chicago. Avelumab’s potential as a mesothelioma treatment is strong enough to have engaged the involvement of the prestigious National Cancer Institute (NCI). NCI’s involvement also reflects increased awareness of mesothelioma as a devastating cancer in need of more research attention to develop better treatment options. “Approximately 3,000 new cases of malignant mesothelioma are diagnosed each year in the United States,” said Raffit Hassan, MD, of the National Cancer Institute in Bethesda, Maryland, who presented the study, according to media reports. Dr. Hassan also said that follow-up research in this area would help ascertain how long-lasting mesothelioma treatment with Avelumab would turn out to be. Mesothelioma treatment with Avelumab was one part of a new large scale multiple part study. This study is trying to move forward the next phase in the major effort to use immunotherapy to fight all types of cancer. Avelumab helps the body’s own immune system to destroy cancer cells. This effort is so important and large-scale that two huge pharmaceutical companies that usually compete with each other, Merck and Pfizer, pooled their resources to collaborate on it. The resulting compilation of data, including the mesothelioma treatment data, is being heralded as providing a new stepping stone to the increasing understanding of the potential role for Avelumab in treating a wide range of cancers. It is worth noting that although each of the 14 Avelumab clinical trial abstracts reported at ASCO 2016 highlight significant progress being made in the fight against cancer, only two were selected for an oral presentation. One of those was the clinical trial portion that used Avelumab as a mesothelioma treatment. Here’s how scientists believe this new mesothelioma treatment works. The new mesothelioma treatment Avelumab is a human antibody intended to work only on a single protein found on tumor cells called PD-L1, or programmed death ligand. Avelumab is believed to have a dual mechanism of action. Scientists theorize that both mechanisms can help the immune system to find and attack cancer cells. By binding itself to PD-L1, Avelumab is thought to prevent tumor cells from relying on PD-L1 to shield them from white blood cells such as T-cells. This exposes the tumor to cells the body’s own anti-tumor response mechanisms. Avelumab is also thought to help white blood cells such as natural killer (NK) cells find and attack tumors in a process known as ADCC, or antibody-dependent cell-mediated cytotoxicity. Basically, what it comes down to is Avelumab preventing tumor cells from hijacking the body’s natural immune response system and helping the immune system mobilize in the fight against cancer cell proliferation. Presenting these results at the recent ASCO meeting, NCI’s Dr. Hassan said it was the largest study to date of mesothelioma treatment ever to try the anti-PD-L1 approach. Out of more than 1,600 cancer patients in the overall Avelumab clinical trial, 53 patients with inoperable pleural or peritoneal mesothelioma were included. For the study, treatment with Avelumab lasted about 12 weeks. The median age of the patients was 66 years old. The clinical trial results show that 25 patients had stable disease (47.2%), and the disease control rate was 56.6%. When studied 24 weeks after treatment, 38.4% of the patients showed no progression of their mesothelioma. Although there were minor side effects noted such as chills and fatigue, major adverse effects were observed in only 7.5% of the patients. The current clinical trial studied mesothelioma treatment in patients with pleural mesothelioma and peritoneal mesothelioma for whom surgical removal of tumors was not possible. Pleural mesothelioma is a fatal cancer of the cells of the pleura, the thin protective tissue lining the lungs. Inhaling asbestos particles triggers the process that initiates malignant pleural mesothelioma. Peritoneal mesothelioma affects the lining that protects the contents of the abdomen. It is believed to be caused by the entrance of asbestos particles into the digestive tract. Many mesothelioma patients get exposed to asbestos while on the job or during military service. However, a significant number of mesothelioma patients may have been exposed to asbestos dust on the clothes or hair of family members who worked with asbestos or from household products containing asbestos. Recently, cancer research has moved in the direction of focusing on the similarities observed at the cellular level across all cancer types in the hope of finding new ways to address rarer cancers that resist cure with standard treatments. The thinking here is that because all cancers initiate and progress in similar ways regardless of where in the body they originate, resources can focus on treatments that address multiple types of cancer. The current Avelumab clinical trial is an example of this new approach to finding effective new cancer treatments. 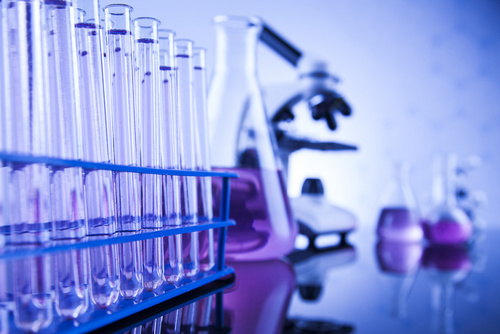 Would a Mesothelioma Treatment Clinical Trial Be Right For You? Would volunteering for a mesothelioma clinical trial be right for you? The development of new mesothelioma treatments depends on real people with mesothelioma being willing to participate in testing them. The US government will not allow the prescription of medications and treatment procedures unless they have been thoroughly tested and found to be safe and effective. As a mesothelioma patient, a clinical trial would give you access to a new cutting edge mesothelioma treatment. But there is no guarantee that the treatment would be effective for you. Your oncologist is the best person to discuss this with. He or she can look at possible upcoming mesothelioma treatment clinical trials and help you evaluate whether any of them would be something that may be of benefit to you.